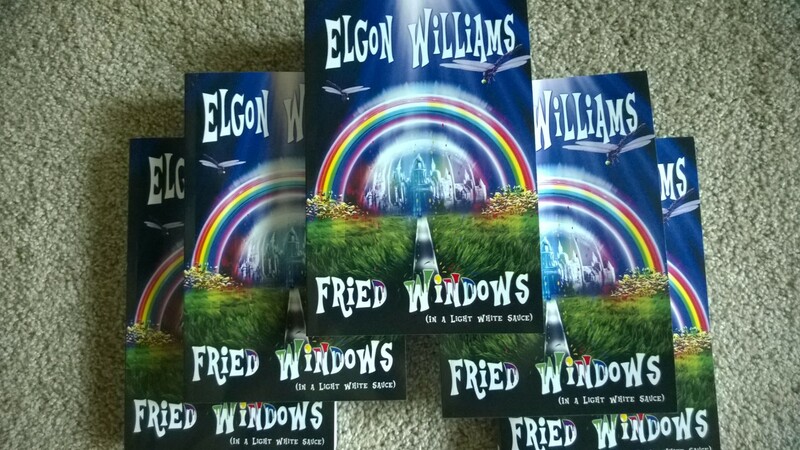 The following is an excerpt from Fried Windows (In A Light White Sauce), published May 2014 by Pandamoon Publishing. It is offered here as a sample of the story. Mrs. Fields’s twisted directions were just that— twisted. I couldn’t figure them out. There was a computer system to deliver, and the schedule was tight . There was nothing new about that. My frustration and sense of urgency rose as none of the directions on the paper made sense. The street names were real but how could reality be bent to fit these convoluted directions? Three days before, Mrs. Fields popped in to the computer store where I worked looking for a computer system. There was no salesperson available to help her, so she went to the tech shop where I worked in the store and asked me. Fine. She said she needed delivery and set up, and since that would likely be me anyway, I figured I could take a little break from what I was doing. She was a chunky, elderly lady about five-foot nothing with short cropped hair that sort of looked silver and sort of looked white depending on how the light hit it. At six-foot two, I towered over her. After spending an hour showing her systems and asking her questions I determined she wasn’t at all savvy and mostly incapable of talking coherently. That became very clear when giving me directions to her house. She didn’t know her exact address. So, I let it go. I thought I’d find the road she lived on and it would be the only house, just like she said. After scrabbling with those directions for nearly an hour and still being lost, my options narrowed to one. Driving to an area that I thought was at least close, I looked for a letter carrier. One was parked at the side of the street, just before the edge of downtown, enjoying his lunch. I wished I had time to enjoy lunch. I had lost ten pounds in the two weeks of non-stop deliveries during a special promotion. Being built mostly like a scarecrow, it wasn’t like I had the weight to spare. Anyway, I apologized for interrupting the man’s lunch. Then, I asked for help deciphering the cryptic directions. “Oh— oh, yes, Mrs. Fields,” he said. This was good; I was making headway. Apparently, he recognized not only the name, but also seemed to know the lady as well. I was sure I’d be receiving precise directions any moment now. “No closer than you were to begin with. You see if you’re here, you’re still lost. I used to deliver mail to her,” he explained. I listened patiently even though panic was starting to seep in. At least he knew where she lived, so I kept listening. The letter carrier fancied himself a storyteller, though, and finally, I had to interrupt him. “This is the only hill in town,” he confirmed. “I’ll give it a shot, I guess.” My confidence was at an all time low. “You’re as crazy as she is.” He laughed. “Look, others don’t measure up to your expectations and they probably never will. But that’s okay because you don’t measure up to their standards either. So why judge anybody? Once you get past judging others, amazing things can happen,” he said with a wink. “Mentor is a better word. Here’s the fact. I used to be frustrated. My job is important and I get that. People depend on the prompt delivery of their mail. But I was upset because I always wanted to be something else. Never in my wildest, youthful dreams did I think that when I grew-up, I’d fight in a strange foreign war that we couldn’t win, and afterwards, I’d end up delivering the mail in some sleepy little coastal town in Florida. I was going to be a police officer, a fire fighter, a cowboy, or one of the astronauts they shoot into space from the Cape— you know, a real hero, somebody others look up to. Then, after I connected with Mrs. Fields, I understood that everything I ever desired was still inside of me from when I was a kid. The little things I do everyday make me a hero to someone and that’s probably as good as it gets most of the time— at least on this side of reality. She told me that as I grew older, I misplaced some dreams. That’s all. They were still there. It’s just— other things got put in front of them. Priorities, you know? If your mind is open to all possibilities, you can find the dreams you lost. When you do, you’ll be forever young where it counts.” He tapped his index finger to his temple for emphasis. Staring at him as much as he stared back at me, one of us was waiting for some sort of sign, I guess. But if he was waiting for me to get his point, that wasn’t about to happen. He saw me shrug, so he nodded, and turned the key to start his jeep. There was nothing else he needed to say to me. What did he really care if I understood or believed? If I found the house— fine. Otherwise, I’d just continue being as lost as I ever was. After he pulled away, I watched him continuing on up the street to the base of the hill. I didn’t know exactly what to do. I got back in my delivery truck , pulled out onto the street, and took my best shot at following Mrs. Fields’s peculiar directions. I drove up the hill, and close to the top, I made a U-turn and came back downhill, looking for the street on the right. Then, I turned left on the second of two streets. At first, it appeared to be the straighter of the two, but when my choice proved to be a crooked road, I felt better about it. Maybe this was the right way. I imagined arriving soon, setting up the computer, and going on to my next delivery. My kids might see their father for once and receive some help with their homework. The road meandered without any logic. The ground was tabletop flat, mostly free of obstruction, or contour. There was no apparent reason for the original planners to create such a crooked course. At one point, the road split into two lanes to avoid a stand of several towering palm trees around a large stone monument. Obviously, the monument had some significance to force the road builders to surround it. Driving for a fairly long time without result, my confidence dwindled again. Could Mrs. Fields have forgotten to mention some key landmark or turn in her directions? She didn’t seem like she was all there after all. Had I driven past the house? Then, I wondered how anybody could not notice a house with no windows. Maybe I should turn back. Exasperated, I pulled over to the side of the road and looked down at the paper with the warped directions. When I looked up from my clipboard, the glare from the afternoon sun struck my eyes. Shading them with my hand so I could see, inexplicably, there it was. Through the afternoon haze, directly ahead of where I pulled over to the side of the road, was a house surrounded by fields of tall grass gently swaying in the breeze. It had a massive front door and tiny porch but absolutely no windows. My heart jumped. Tentatively, I opened the truck door, telling myself this didn’t make any sense. Why hadn’t I seen the house while driving? Seeing it now conjured up all sorts of intimidating and frightening possibilities and explanations. Most of those worried me. Back to the matter at hand, I had to deliver a computer system and set it up in a house with no windows. That was all that mattered. I stepped out onto the pavement, crossed the road, and marched up to the front door. Already running way behind schedule, I intended to ring the bell, knock, yell, or use any other means available to communicate my presence. Having spent too much time finding the place, I was determined to wrap up this delivery as quickly as possible and be on my way to the next customer. As I reached for the large brass doorknocker that adorned the front door, there was rustling in the bushes to my right. Distracted, I turned without bothering to knock. There before me on the ground below the lip of the porch a petite young lady was picking flowers. I walked to the edge of the porch where I got a better look at her. When she looked up at me with eyes that seemed to sparkle and change colors, her smile made me feel at ease. For whatever reason, when I first noticed her, I thought she might be a child. But as she appeared to be in her late teens or early twenties with shoulder-length, auburn hair, fair skin with a few freckles scattered across the bridge of her nose, I decided she had a natural sort of cuteness the defied showing her age. She was pretty, not needing any cosmetic amendment. She wore loose fitting work clothes, a tee shirt that came down to mid thigh, and jeans that were rolled up to her knees. The overall effect made her look even thinner. “I know. And it’s wonderful to see you again,” she replied with her bright, perfect smile that dazzled me as much as her eyes. “Mrs. Fields,” the young lady said with some impatience. porch, proving that my estimation of her height was actually generous, as she came up to about my chest. “It’s such a pity. We were always such famous friends. 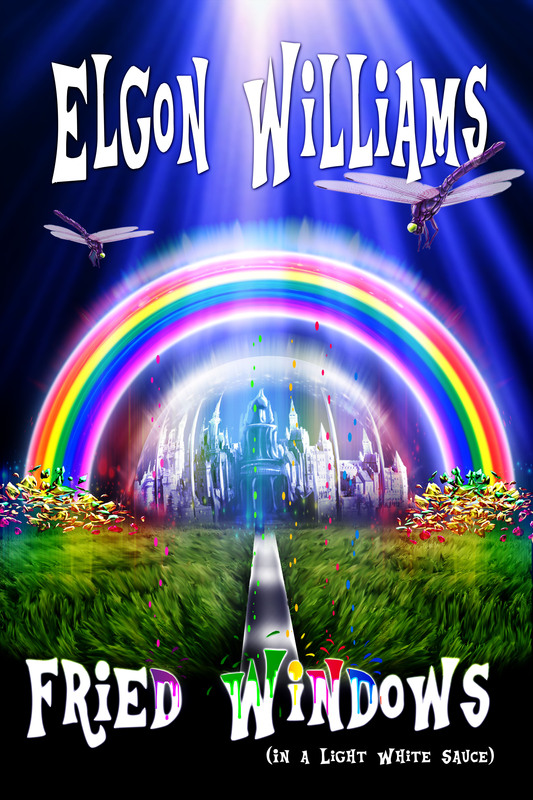 I’m Lucy,” she offered with her biggest smile yet, as her eyes reflected the blue of the sky and reminded me of gemstones twinkling in the light. “Brent,” I gave her my name, as I pointed to my nametag. I accepted her delicate hand and we shook. “Do you know where Mrs. Fields wants the computer set up?” I was growing impatient and it was getting later by the moment. “Come, I’ll show you the way,” Lucy said. By the time I loaded up all the boxes containing the computer components, Lucy was waiting for me at the front corner of the house. As I walked toward her, she came to the edge of the road to meet me. She pointed the way to a tall shadow-box wood fence and an open gate at the side of the house that she’d left open for us. Once inside, the fenced-in yard seemed an immense parcel of real estate. And yet, everything there appeared designed for amusement. A huge playground with two sandboxes, multiple swing sets with spiral slides, places to climb, benches to sit for resting, and tables for children to sit and eat snacks, or have lunch. Around the perimeter and outside the fence were several tall trees with their branches extended over the playground, though they didn’t appear to be giving much shade for the time of day. It reminded me more of a public park than the backyard of a residence. “Are you in the daycare business?” I asked, making small talk as I carefully carted the boxes over the grass, holding one hand on the stack to keep them from sliding or falling off. “Daycare? What is that?” Lucy asked. “I guess so. I mean, sometimes I think about when I was a kid,” I admitted. “Until you did, and that’s all that matters. Now we’re here, together again. So, relax, be yourself, and be happy you made it back.” She twirled around as if inspired to dance. “I’m not miserable.” I leaned against the handle of the hand truck as I temporarily parked it at the back corner of the house, waiting for further directions.